This smartphone friendly form of identification can help bags to be returned to their owners. The travel industry has tried all sorts of different efforts to help to make sure that luggage that goes missing will eventually make its way back to its owner, and QR codes are the latest of these attempts, playing on the common use of smartphones and other mobile devices. By adding these barcodes to luggage tags, someone who finds misplaced baggage can contact its owner. This effort is being spearheaded by GoCodes, a company that will have unique QR codes generated for travelers, so that if the luggage doesn’t arrive in its intended destination, the barcode can be scanned with a smartphone to reveal the contact information of the individual that has been waiting for a long time at the baggage carousel. In theory, an airport employee or good Samaritan will scan the QR codes so that the owner can be contacted. 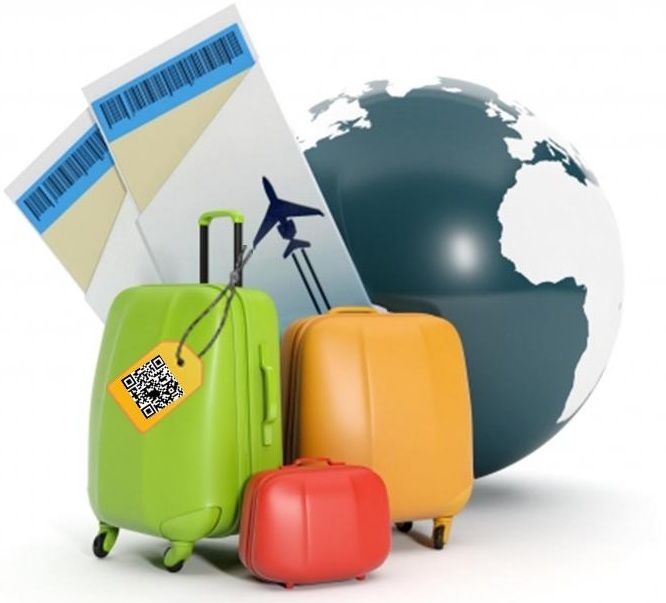 From that point, arrangements can be made to ensure that the baggage with the QR codes will be returned to its owner. Through the GoCodes service, there are a number of different features available in terms of various forms of barcodes and contact options. At the ground floor, it costs approximately $10 for the most basic tag. Many upgrades are also available in order to branch out the service to individuals other than travelers. For instance, the company also has QR codes on stickers that can be added to a smartphone, tablet, mp3 player, headphones, wallet, or virtually anything else. This can help someone with good intentions to make sure that the missing item is returned to its owner. Though the QR codes don’t guarantee that the missing possessions will be returned to their owners – as this still relies on the concept that the item will be found, scanned, and that contact will be made – they do provide an extra means for someone who has found the item to be able to find out to whom it belongs. When it comes to having belongings go missing, every little bit can help to increase the odds that it will be found again.